Quite a mixed selection on my wish list this month. I'm really looking forward to some of these. This sounds wonderfully strange. There seem to be a lot of seemingly unconnected characters, which is a bit reminiscent of Cloud Atlas, which I loved. Also, I'm reading the Man Booker Prize longlist, and this is on it. I really enjoyed Barry's previous political romance, Special Interests. The plot of this one intrigues me a bit less (it sounds more thriller-like), but I'm planning to read it anyway. It sometimes feel like I'm the only In Death fan in the blogosphere who's still completely enjoying the series. These are the perfect comfort read for me. Second in Thomas' fantasy YA Elemental trilogy. I liked the first one, The Burning Sky more than I expected, and I'm really interested in what happens next. From a perilous to an infinite sea, also the second in a series. This is a sci-fi, post alien invasion series. I really liked the first one, The 5th Wave. It was terrifying and twisty. I've no idea what direction Yancey's going to take the action now, and can't wait to find out. This could be a lot of fun. An up-and-coming operetta singer, a straitlaced professor, a road trip to the Pyrenees. It sounds like exactly the sort of story Brockway is really good at. 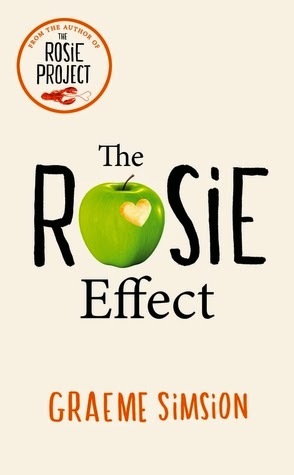 A follow-up to The Rosie Project, which I really liked. I really enjoyed the two Nicholls book that I've read, One Day and Starter For Ten, but I was very surprised when I saw Us was on the Man Booker longlist. The other two books didn't strike me as Man Booker material. I'm very interested to see what Nicholls has done here. The heroine is an athlete, the hero is a journalist who ruined her career by writing some sort of exposé. Both of those elements really interest me, and I was impressed by the book I read by this author. Collection of short stories. I love Mantel's writing, and how could I resist that title? This has a heroine who loses a significant amount of weight. What I thought was quite interesting was that the blurb makes a point of the fact that the hero, her personal trainer, was attracted to her before she lost the weight. Honestly? I'm only taking a second look at this one because it's Nalini Singh. Rock star falls in love with regular girl is absolutely not my kind of thing. 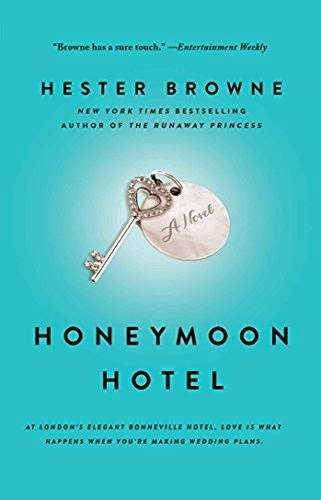 I've got some sort of weird thing for books about wedding/party planners. Not sure why this is. I might give this a try. I read Buruma's Year Zero: A History of 1945 earlier this year and thought it was great. I've now borrowed all of his books in my library system. This new one sounds interesting. It's about how art responds to war. It looks like Ron Charles of the Washington Post is doing his own Booker challenge, as he just reviewed 'Bone Clocks'. I have the JD Robb and the Sherry Thomas on hold at the library. Here's one more fan who is still enjoying Eve and the gang! I, too, really enjoyed 'Burning Sky' and want to see where she's going with the story. That's quite a positive review! There have been a couple of very sniffy ones here in the UK. I'm even more intrigued now! Nice to see I'm not the only one still liking the In Deaths! I've become less enthusiastic about Roarke (he feels a bit too fantasy-like lately), but Eve and the rest? Love them. I'm eyeing Emma Barry - I may get her first book! I've pretty much stopped reading Nora Roberts - I think they're all starting to feel a bit same-y to me. Not sure whether it's her writing or if my tastes have changed. It's been a while since I've read an In Death book though. Li: Do, it's a good one! Roberts has become a bit hit or miss for me. As I mentioned above, I still like the In Deaths very much, and up to this one, I'd been ok with (although not in love with) her single title Romantic Suspense. Her latest trilogies, though, have been a bit mediocre.